Turkish President Recep Tayyip Erdogan asserted on Tuesday that Turkey’s infantry will participate in the liberation of Mosul, Iraq’s second-largest city, from the Islamic State, despite repeated demands by Iraqi Prime Minister Haider al-Abadi that Turkey stay out of his country. “The Turkish military will enter Mosul,” Erdogan said Tuesday, after demanding Abadi stop publicly challenging him. Erdogan described Abadi’s opposition to a Turkish presence in Iraq as “insulting” and dismissed Abadi himself as an inferior world leader. “The Iraqi prime minister is insulting me, first know your limits. You are not my collocutor. Even you are not in my quality, my level,” Erdoğan said, according to the pro-government Turkish newspaper Yeni Safak. Abadi has repeatedly rejected the idea of Turkish help in the liberation of Mosul. “Turkish forces will not be allowed to participate in the liberation of Mosul under any circumstances,” Abadi asserted on Sunday, protesting that Turkey had “violated Iraq’s sovereignty” by placing troops inside its borders without Baghdad’s approval. Turkish Premier Binali Yildirim expressed concerns this week regarding the activities of other parties fighting in Iraq, particularly in regard to the reconstruction of Mosul. Mosul is currently the second-largest city in Islamic State control — after Raqqa, Syria, the Islamic State “capital” — and was traditionally home to diverse ethnic and religious groups. In 2014, when the Islamic State took over, the jihadist group forced non-Sunni Muslims out of the city. Islamic State terrorists confiscated the property of all Christians, labeling it with the Arabic letter “N” for “Nazarene,” and forced Christians to flee, convert to Islam and pay an “infidel’s tax” (jizya), or face execution. Christians had been present in the city for two millennia, since Jesus’s time. Yildirim issued a statement warning that any alternation to the “demographic structure of Mosul after Daesh [ISIS] is taken out would spark a big civilian and sectarian war.” Turkey’s demographic concerns likely do not involve Christians, however, who have long fled Mosul, many living under Kurdish rule in northern Erbil. 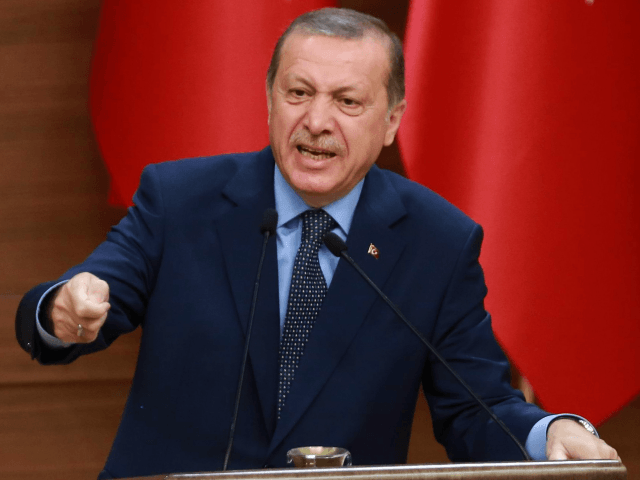 Turkey has openly expressed alarm at the possibility of Syrian Kurdish forces establishing an independent Kurdistan out of Arab, Turkish, and Iranian territory. They would have to compete with the Iraqi military, led by a Shiite government and aided by Iran-backed Shiite militias. As those remaining in Mosul are Sunni Arab Muslims, a Shiite takeover could lead to sectarian violence. Turkey deployed troops to Iraq in August, apparently to keep the Syrian Kurdish forces known as the YPG/YPJ from moving too far east in Iraq. “Operation Euphrates Shield” was nominally meant, however, to “clear Daesh [ISIS] from the southern border,” according to Foreign Minister Mevlut Cavusoglu. That move alarmed Baghdad, and while the Iraqi Kurdistan Regional Government (KRG) accepts aid from Turkey, Sunni Kurdish leaders have denied that they have any information that Turkey will participate in the Mosul takeover. “Turkey won’t take part in the Mosul battle, they only train us. We will join with the Iraqi army, federal police and Peshmerga forces and will take part in the battle and expel ISIS from Mosul,” Sunni General Mohammed Yahya, deputy commander of the Hashd al-Watani from Gudad military base in Bashiqa, told the Kurdish outlet Rudaw on Monday. Rudaw notes that various sources have given them conflicting reports on whether Turkish troops in Bashiqa have attacked the Islamic State directly yet — Turkish sources say yes, while the Kurdish Peshmerga deny it.